Rajasekhar also said that he will be collaborating with Praveen Sattaru for the PSV Garuda Vega sequel. 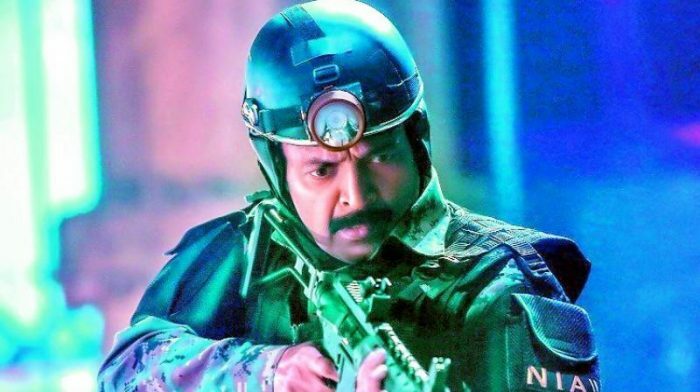 During a recent chat with a leading daily, Telugu star Rajasekhar opened up about the success of his latest release ‘PSV Garuda Vega’ and his future plans. The veteran actor said that the film has turned out to be his biggest hit yet and helped him get his career back on track. Rajasekhar went on to add that he will plan his next move carefully as he wants his future projects to live up to the expectations set by ‘PSV Garuda Vega’. “Choosing the next project is the hardest thing at this moment for me. Since this film is the biggest hit of my career I want to take wise steps now. I will take a brief gap now. But will surely bounce back with something interesting,” he said. The star also spoke about his rapport with Praveen Sattaru and said that he will be collaborating with him for a sequel to ‘PSV Garuda Vega’. However, at the same time, he confirmed that both of them will work on separate films before the sequel takes off. “Both of us will come together again for Garuda Vega’s sequel and before that, will do another film each. I have to choose carefully as this will be an important move for me,” added Rajasekhar. Well, we wish him the very best and hope that his next film too turns out to be successful. In case you did not know, ‘PSV Garuda Vega’ was an action-thriller and featured Rajasekhar in the role of an NIA officer. Released earlier this month, it did well at the box office and earned rave reviews along the way.